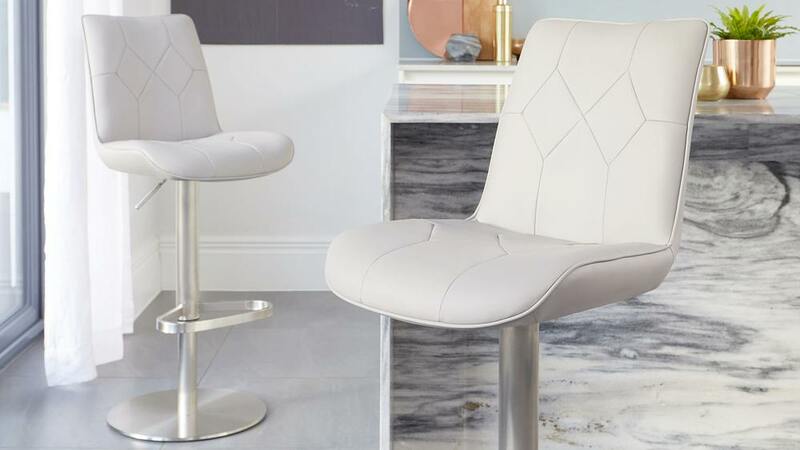 The Lumos bar stool is such a designer looking seat. 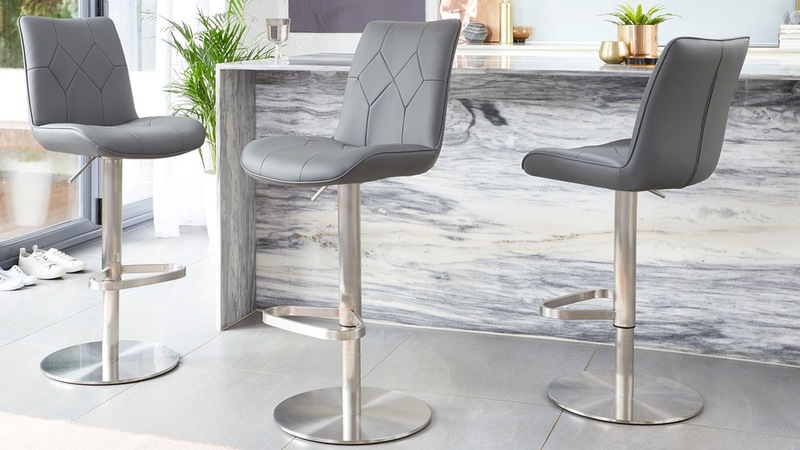 With its stainless steel gas lift base and diamond faux leather detailing, this bar stool will add a piece of everyday luxury to your home. 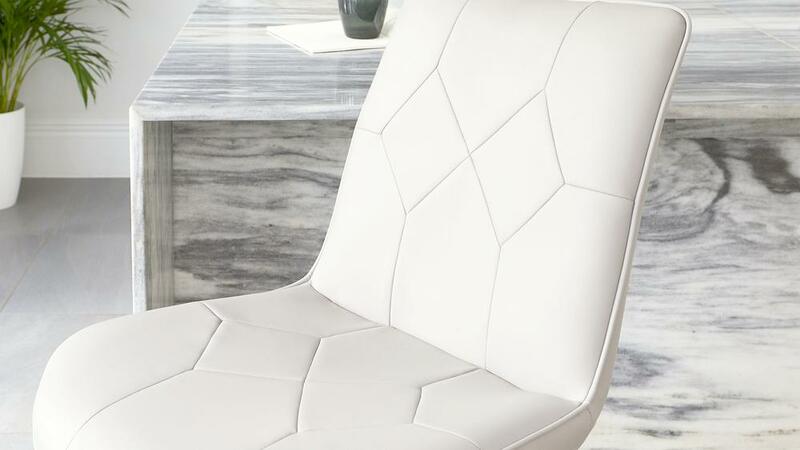 The neat diamond detailing on the seat and back of the Lumos gives this bar stool such a modern luxe look. This stool is perfect if you're looking to add both style and comfort around your breakfast bar. We only use gas lift mechanisms that are manufactured to the very highest European quality engineering standards. This quality engineering makes the gas lift of the Lumos a lot smoother and therefore much longer lasting than other cheaper versions on the market.  The round flattened base of the Lumos is finished in a brushed stainless steel. 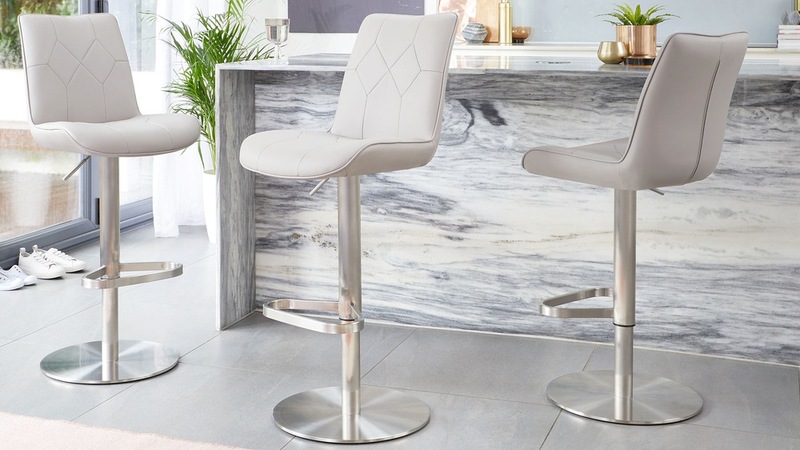 The penny base gives this bar stool an overall more substantial feel, offering maximum support and strength while still maintaining a streamlined and sleek look. 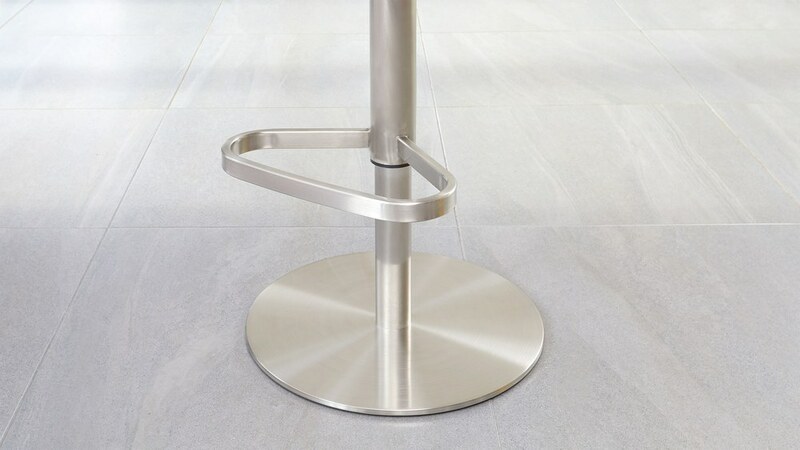 The heavy design of the base also helps to keep the bar stool grounded, preventing it from toppling over. 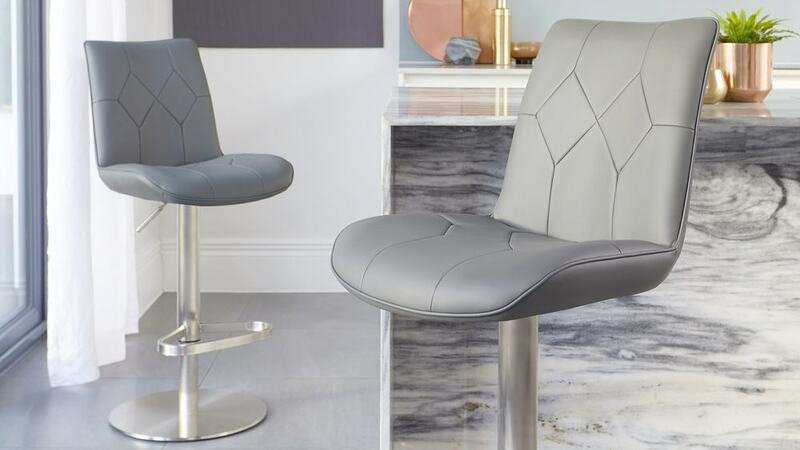 The seat is incredibly supportive and yet is still lightweight enough to move, making this bar stool very accommodating. If you're after a slightly larger seat, we suggest taking a look at the Curva gas lift bar stool.